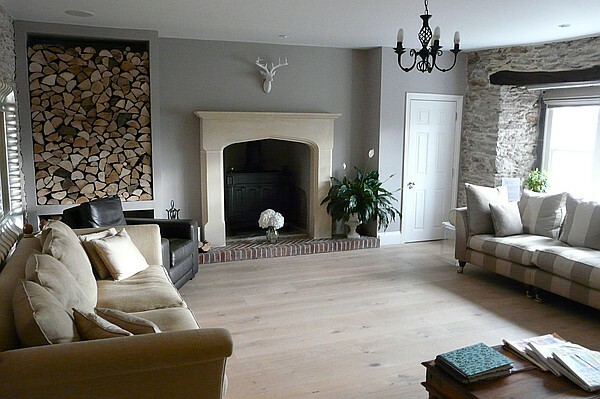 A luxurious private cottage suite at a multiple award winning contemporary B&B ideally situated close to Dartmouth. 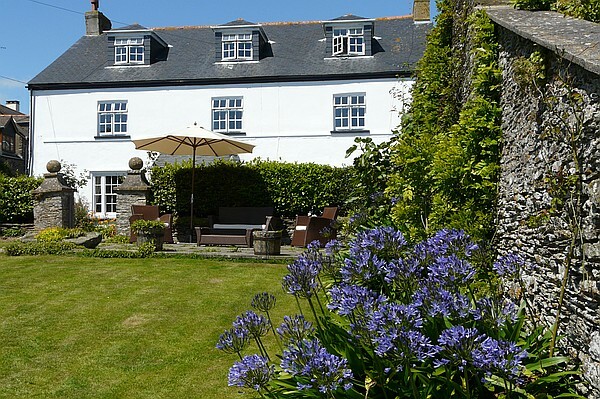 Strete Barton House is in the picturesque South Hams, in the attractive village of Strete. 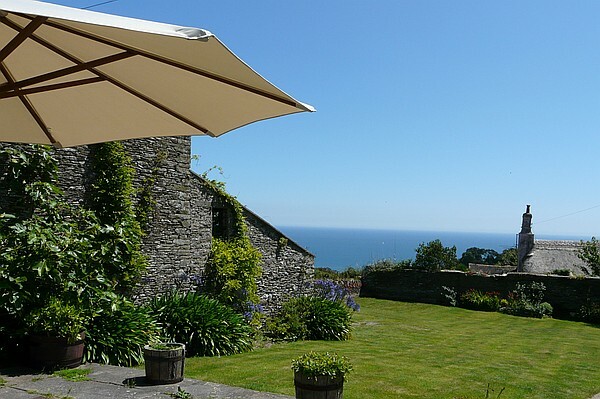 The house is 16th Century Manor House which is now an AA 5 star rated luxury bed and breakfast with extensive grounds and stunning sea views over Start Bay. The House has a fantastic setting close to Dartmouth, the South West Coast Path, Slapton Sands and Blackpool Sands. It has been luxuriously furnished and decorated with all the bedrooms having Egyptian cotton sheets, feather down pillows (non-allergenic available on request), extensive refreshment trays, flat screen wall mounted TV and DVD/CD player and iPod dock/radio alarm clocks. 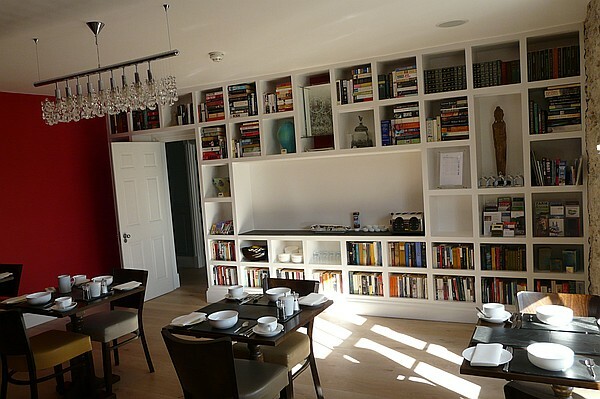 There are a number of other public areas in the house including an attractive lounge with cosy sofas, armchairs and an open fire, a dining room which looks onto the garden and a terrace with views over the sea. The village has an award winning restaurant, The Laughing Monk as well as a traditional public house. 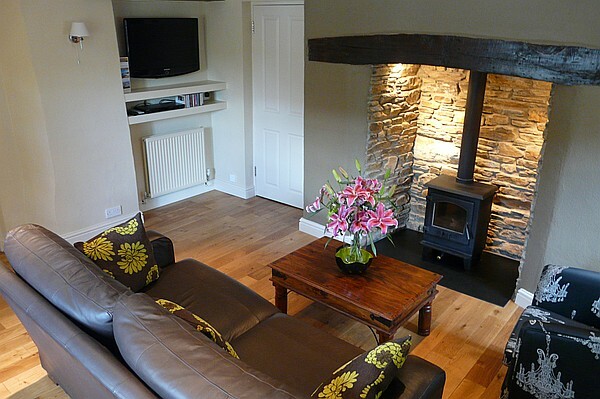 The Bed and Breakfast has five bedrooms in the main house and then a dog friendly cottage suite which has its own private entrance and living room with log burner. 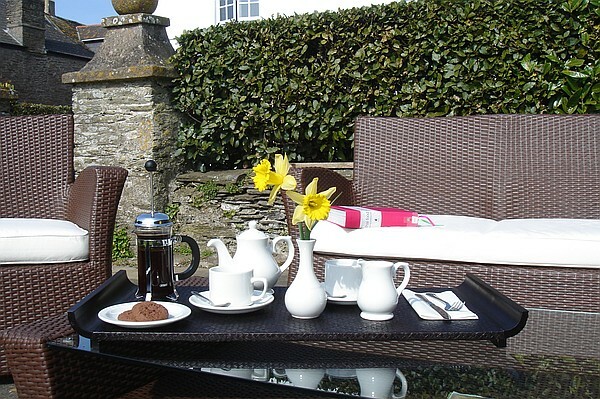 Strete Barton House Bed and Breakfast offers you a wonderfully warm welcome with home-made cake and tea or coffee on your arrival. During your stay they can also arrange various spa treatments at the nearby treatments rooms nearby ensuring you really unwind during your visit. 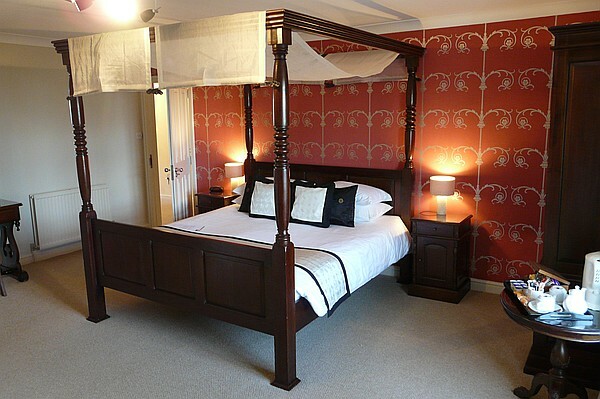 The Cottage Suite has been contemporarily decorated with luxurious furnishings. There is a private living room with an Inglenook fireplace and log burner as well as a large sofa and cosy chair, flat screen TV and DVD/CD player and a cloak room. The downstairs bathroom is fitted with a luxury bath and shower. Upstairs there is a double bedroom with a king-sized bed fitted with a luxury mattress, Egyptian cotton sheets and feather duvet and pillows. There is also an en suite WC. A full English breakfast is included in the price. It is served with a selection of seasonal fruit, fruit salad and local farm yogurts. Local ingredients are always used where possible. 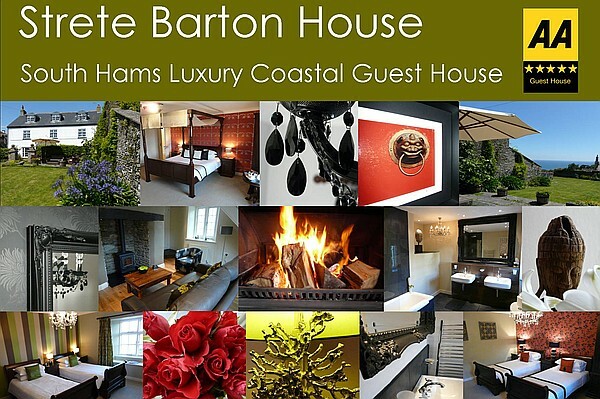 Strete Barton House is ideally situated just 5 miles from the popular river town of Dartmouth. The house has the beautiful cove at Blackpool Sands, Torcross Village and the Slapton Ley Nature Reserve on the doorstep. Whilst the principal town of the South Hams, Kingsbridge is only 12 miles away and the popular sailing village of Salcombe 15 miles away. Dartmouth – Is a 10 minute drive away and is a popular river side town with winding streets and many independent restaurants and shops. Brixham – Is a quaint fishing town rising up from its harbour. It is 45 minutes away from the house. Totnes – Is a 20 minute drive from the house and is a pleasant town on the river Dart. It is a bohemian market town making it especially interesting for foodies. Blackpool Sands – Is a stunning bay sheltered by evergreen and pine trees. It is one of South Devon’s most beautiful treasures. It is a 20 minute walk from Strete Barton House. Salcombe – With its sheltered harbour is a popular sailing town and is just a 20 minutes drive from the house. Greenways – Is a National Trust property at Galmpton (20 minutes drive away) which can also be accessed by ferry from Dartmouth. It is the home of the late Agatha Christy. Coleton Fishacre – Is a further National Trust property with an art deco interior and stunning gardens looking out to sea. The house is at Kingswear a 15 minute drive away. Golf – just a 5 minutes drive from the Bed and Breakfast is the Dartmouth Golf and Country Club 18 hole golf course, Strete Barton House can provide guests with a discount of 25%. Boat Charters – Oboe Yacht Charters in Strete provide luxury sailing holidays and bespoke day trips on its 14.7 meter yacht. River Cruises and Boat Hire – In Dartmouth there are numerous places to hire a boat for the day as well as to take guided river cruises. Steam Train – From Kingswear you can take the steam train up the estuary to Paignton. You can also combine this trip with a river cruise allowing you to really explore all the estuary has to offer. An additional charge of £7 is made per dog per night. Unfortunately we cannot accommodate children under 8 years old. There is a minimum stay of two nights during weekends throughout the year and throughout the week during the summer months. To secure your booking a deposit of the cost of one nights stay per room is required. If you are staying for more than one week a deposit of the equivalent of two nights stay per room is required. If you have to cancel your booking with less than two weeks notice we will not be able to refund your booking unless we are able to re-let your room/s. If you have to cancel within 48 hours of your scheduled arrival a charge equivalent to the total planned stay will be made.